Fear, Hope and Everything in Between! Throughout centuries, new developments, especially technological ones have induced great fears in human kind. However, it is the biggest failures that teach us the most important lessons and allow us to move forward. It is technology that has allowed us move forward in a much faster pace and thus, allowing us to hope. That is why during the latest edition of DOKU.TECH we have discussed Fear, the Hope, and every lesson in between! The three most important things needed for even the greatest tech-developments are creativity, great-minds, and motivation – luckily, we have a large supply of the first two at Prishtina, and during the last weekend, we brought the third. International and local, renowned speakers who brought thought-inducing talks and debates, interactive and inspiring workshops, and hands-on DIY sessions, a geeky tech-community networking, gaming, and party evenings, and most importantly the annual DOKU.TECH audience which gathers every year to add to the richness of our conference! 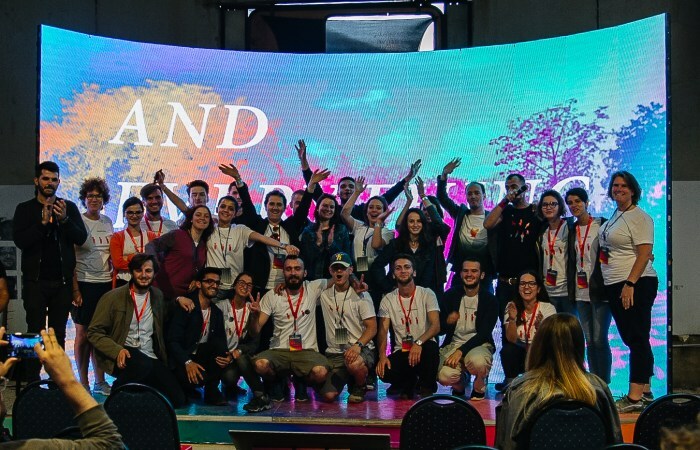 When tech-conferences are usually centered in the biggest capitals of the world, decentralization becomes a necessity in order to bring the international conference feel to less lucky young people who live in more isolated countries such as Kosovo. For the fourth year in a row, DOKU.TECH has been that opportunity for the Kosovar youth. The highlight of the conference were the amazing speakers we managed to bring from the USA, Iceland, Israel, Germany, Tunisia, Slovenia, Singapore and Kosovo. The speakers amazed the audience with their experience, the projects they are working on, and the latest development of technology. The speakers brought with them great enthusiasm and in no point hesitated to share it with our audience on and off stage, answering every question, inspiring every mind. In addition to all the speakers, DOKU.TECH gathered people who do great work to hold workshops on many different fields, providing the audience with thought-provoking exercises and hands on work to better understand the technology surrounding us. While the workshops and the talks filled the spaces inside of Termokiss, the Do It Yourself (DIY) Fair brought the enthusiasm outside in each tent! We hosted many eager people from Q’Art, Peer Educators Network (PEN), Prishtina Hackerspace, UNICEF Innovations Lab, Cacttus Education, RIT Kosovo, BONEVET, J Coders, and Anibar – important factors in Kosovo’s technological development to share their work face to face with young people! Until the special edition of DOKU.TECH on August 5th during our mother festival, DokuFest, where we will yet again discuss Fear, Hope and Everything in Between!